Schuncke wrote for the newly founded 'Neue Zeitschrift f�r Musik', was a member of Schumann�s Davidsbund, and quickly established himself as a composer. His style, firmly rooted in the classical Viennese tradition, is infused with Romantic gestures, and emotional outpourings, his pianistic style strongly influenced by his comrade Schumann: flourishing and virtuoso. 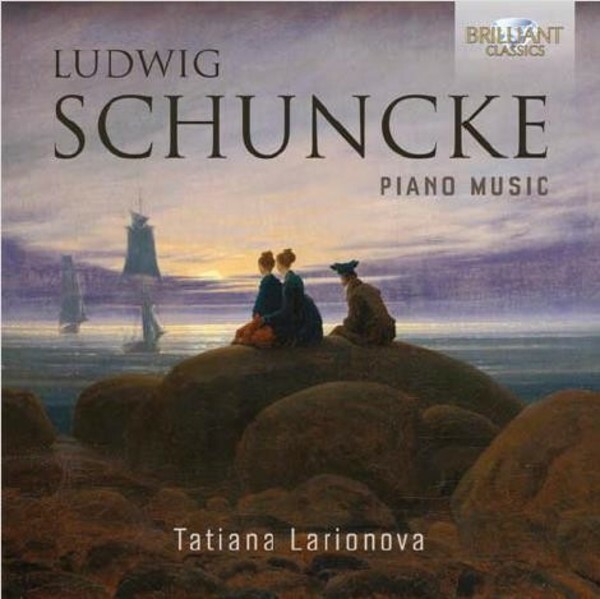 This new recording contains the complete piano music of Schuncke - a Grand Sonata and several salon pieces of brilliant and diverting character: a real discovery! They are played with brilliance and gusto by the young Russian pianist Tatiana Larionova.